Line up any combination of drumheads to see every feature listed side-by-side: Make the most informed choice before you buy. 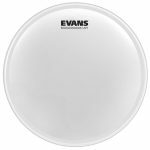 Search, filter, and compare Aquarian, Evans, and Remo drumheads to find the best head for you, and take full control of your drum sound. Want to see everything on one page? 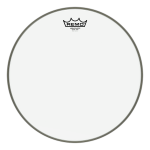 ...then take a look at the web's most comprehensive drumhead comparison chart. Drumhead choice, tuning, and dampening are the three things that will have the biggest impact on your drum set's sound. A cheap drum kit can sound amazing with the right drumheads, tuning, and careful use of dampening... An expensive drum set will sound terrible if just one of these things is done wrong. Select and compare drumheads, and learn about all of the important stuff: This website is designed to help you take control, to get the best drum sound possible. And, all of this information is available to you for free. At Drumhead Authority, you can navigate through the huge range of options to compare drumheads and find the best drumheads for your kit, your sound, and your style. 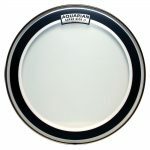 You can search and compare Aquarian drumheads, Evans drumheads, and Remo drumheads, filtering them by all of the important variables that will affect your drum sound. We clearly tell you exactly how each drumhead sounds and behaves, so you can make the best decision before you buy. 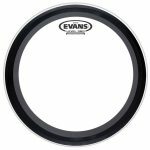 This site isn't just for comparing drumheads. We've got important drum tuning techniques and tips, and some really helpful information on buying drumheads. Check out the Drum Sound FAQ, which covers all of the important drum sound stuff, or read up on the essentials with our in-depth drum articles. And if you're shopping for cool drum gear, we've also got you covered, with our drum accessories, musicians gifts guide, and huge round-up of the best drum gifts for any budget.